Place the milk in the microwave for 1-2 minutes or until very warm. Stir in brown sugar and salt until completely dissolved. Add vanilla and heavy cream. 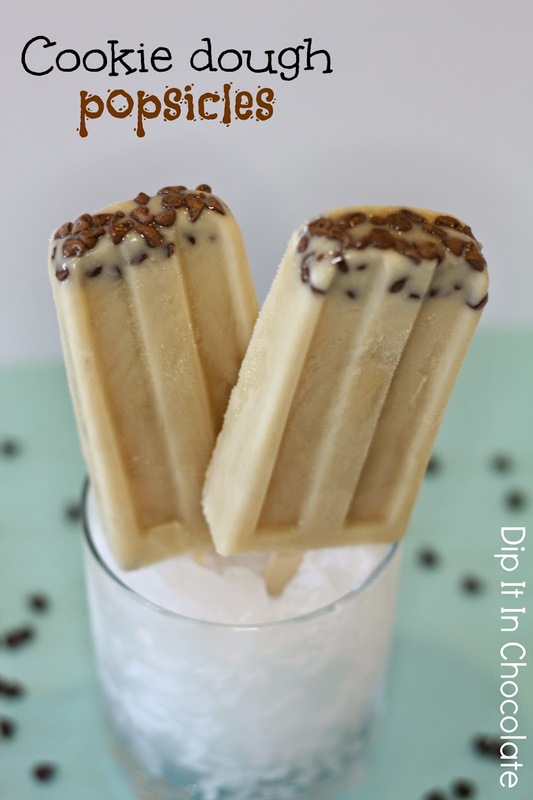 In the bottom of each popsicle mold, place 1/2 Tbsp mini chocolate chips. Pour cookie dough mixture on top. Insert sticks, and freeze pops overnight, or until solid. Run molds under hot water before removing popsicles for an easier release.